Happy Thursday! 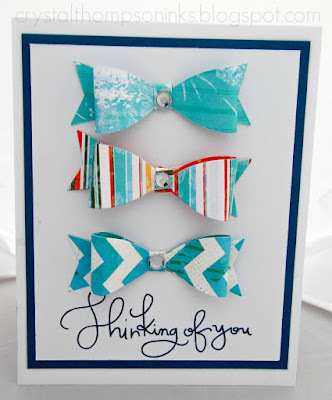 Crystal here to host the blog for you! 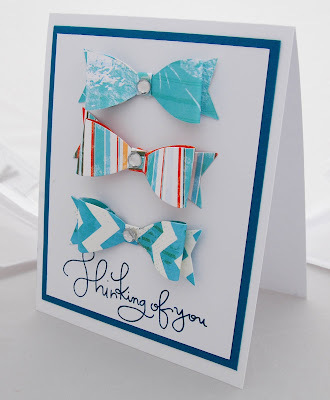 Today I am showing you a clean n' simple card featuring Catalina Island Papers. These tiny bows were made using scraps I had left from one of my Club Q kits. 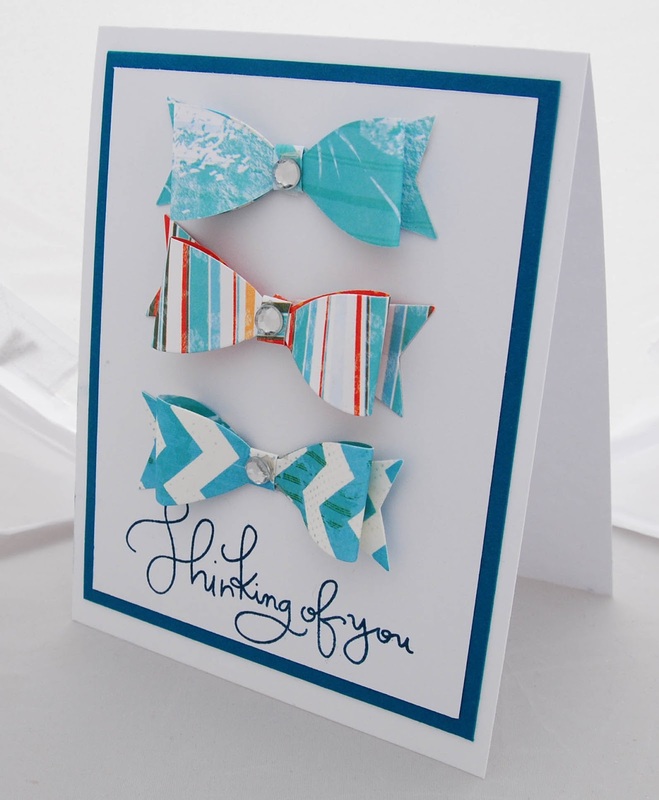 Currently I am loving the clean n' simple look as the Catalina Island papers become the main feature of this card. I think this can be done with ANY die. Butterflies, flowers, bows, etc.! The sentiment is stamped with PowderPuff Chalking Ink in Blue Jeans.